WILLIAMSPORT, Pa. – For just the fourth time in the Lycoming College football team’s history, junior offensive lineman Cody Botts (Millmont, Pa./Mifflinburg) has repeated on the Google Cloud Academic All-District Team, the College Sports Information Directors of America announced on Thursday, Nov. 15. Botts has started 20 straight games for the Warrior as a left tackle, helping lead the team to a 5-5 season and a berth in the Centennial-MAC Bowl Series this year after finishing tied for fourth in the conference. 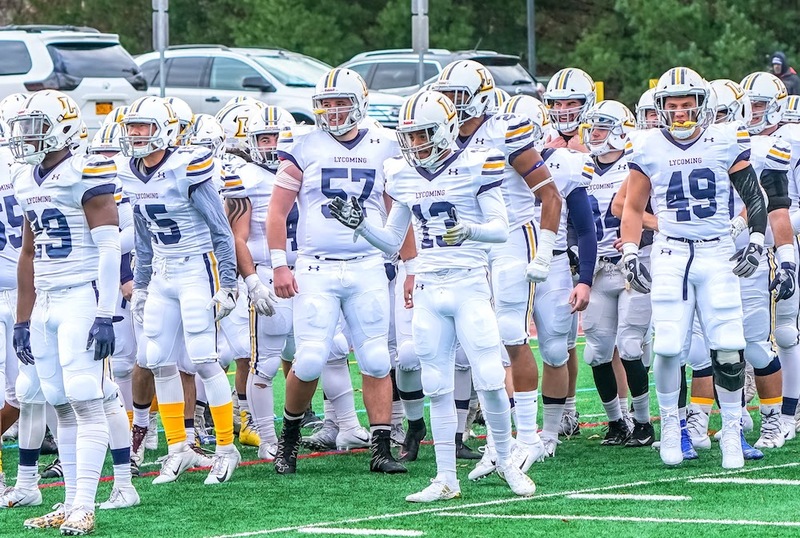 Botts has helped a Lycoming offense that has crossed 300 yards of total offense four times, including a season-best 517 against Alvernia. The Warriors have thrown for more than 200 yards four times, more than 300 yards twice, and have rushed for more than 100 yards five times. The history major has made back-to-back appearances on the MAC Academic Honor Roll. Google Cloud Academic All-District Football Teams are released to recognize the nation's top student-athletes for their combined performances athletically and in the classroom. First-team Academic All-District honorees advance to the CoSIDA Academic All-America Team ballot, where first-, second- and third-team All-America honorees will be announced in December.